KSB Group subsidiary KSB ITUR Spain has upgraded its ILN type series vertical in-line centrifugal pumps to meet tighter restrictions for sulphur dioxide (SO2) emissions from the maritime sector. 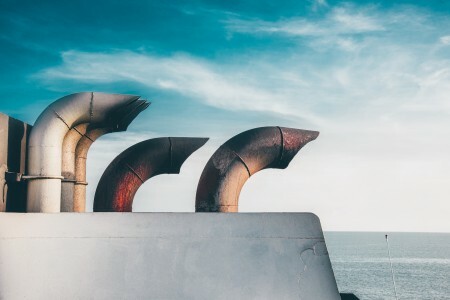 From 2020, new limits imposed by the European Union (EU) and International Maritime Organisation (IMO) will restrict the volume of SO2 in marine exhaust gases. The limit can be achieved by either using low-sulphur fuels, such as natural gas, or through the installation of a scrubber. KSB’s upgraded centrifugal pumps feature a closed impeller and mechanical seal, and will be used in onboard exhaust gas cleaning systems. The redesign of the hydraulic system means the pumps now meet the operating and efficiency requirements, which will come into effect on 1 January 2020. The design allows the impeller to be dismantled without removing the piping and motor, while a self-venting wide mechanical seal chamber ensures durable sealing at the shaft passage, according to the company. Casing wear rings in the pump casing and casing cover can be replaced if necessary. The pump sets are able to achieve a maximum flow rate of 3,700m3/h, with a maximum head height of 160m.